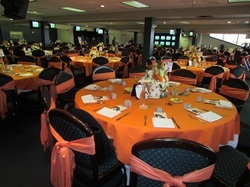 The Turf Club is our upscale but still casual dining room located on the 3rd level. It can accommodate up to 280 guests. 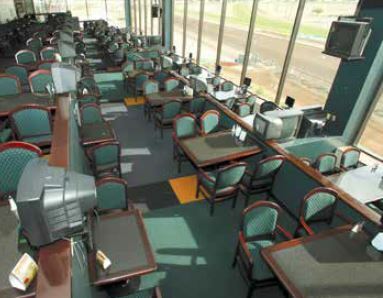 The Turf Club also offers tiered seating in tables for four or two guests with individual flat screen TV monitors at each table and a great view of the track. The Turf Club is open during live race days. Reservations are recommended and can be made by calling 602-375-6472. Business/Country Club casual attire suggested. A $5 seating charge per person applies on certain days and it’s added to your food & drink tab. 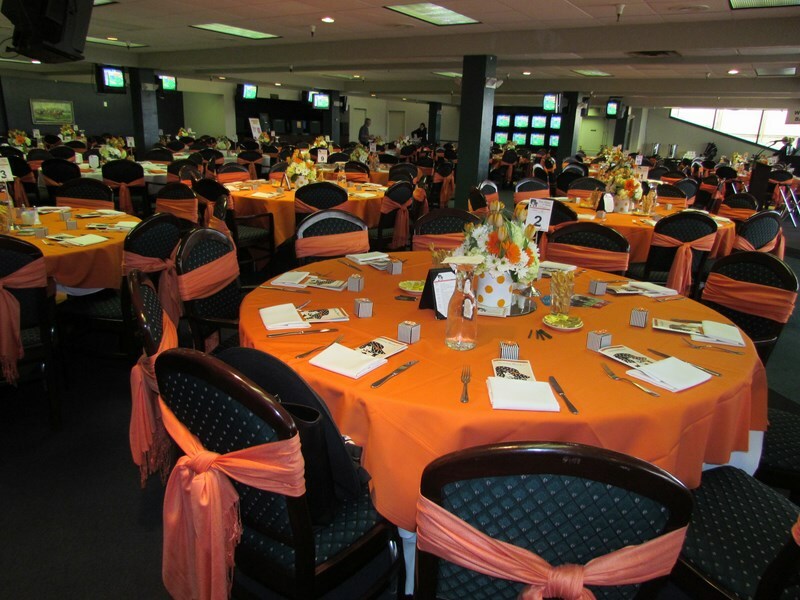 The Turf Club Terrace is a tastefully appointed banquet room located adjacent to the Turf Club. It’s the perfect venue for special occasions such as group parties, wedding receptions, corporate meetings and banquets. It offers private betting windows, over 50 TV monitors and a beautiful outside balcony with a bird’s eye view of the race course. The Terrace can comfortably seat 250 guests but could accommodate up to 300 guests utilizing tables on outside balcony. To reserve this room please contact our Group Sales Department at 602-375-6478.